My boyfriend John had his left hip replaced this week. (He also had to have the right one done a year ago.) 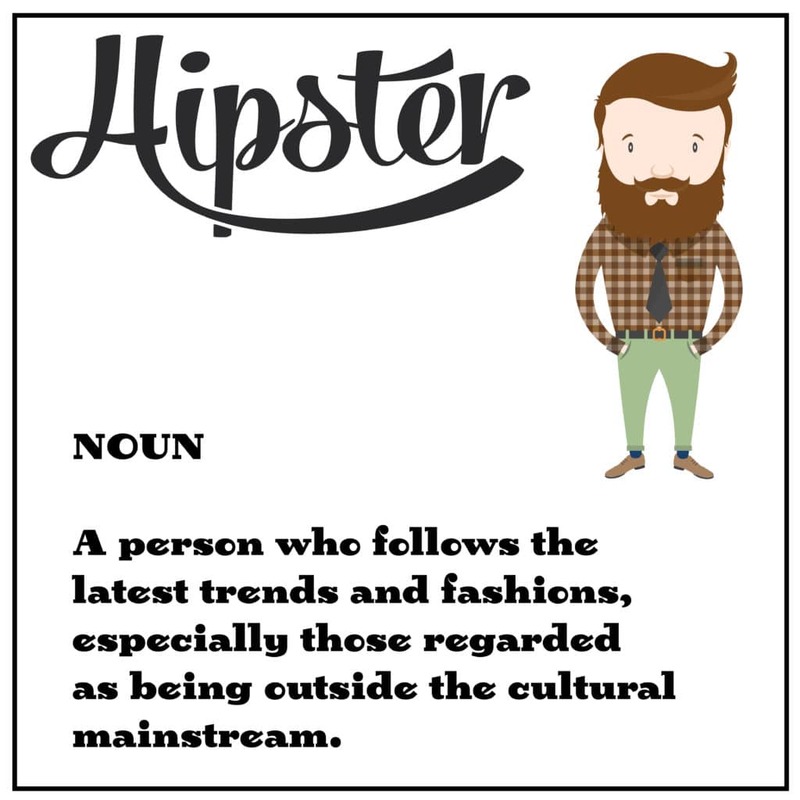 So, I’m calling him a hipster from now on… It totally doesn’t fit with the actual definition of the word “hipster” but you say tomato, I say tomato, right? So, as I was saying, my boyfriend the hipster is in the hospital after his surgery. He should be coming home tomorrow. He got the best room in the hospital. It has two walls of windows and has the most amazing views. He sent me a picture this morning of the sunrise from his room. The view from John’s hospital room. 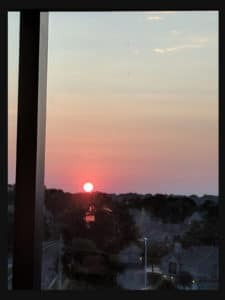 I love that he is the kind of person that sends a picture of the sunrise from his hospital room. That is a “glass half full” kind of guy if you ask me. Instead of being frustrated or down about the fact that he is in the hospital in the first place, he is noticing the little things about his stay that are positive. I love that about him. I am truly thankful for that. John comes from a family with a long history of hip issues and severe arthritis. In fact, we have an old black and white picture of John’s great-grandfather riding a Honda motorcycle with his crutch tucked in the side of the motorcycle. I am not an expert in medicine, but I feel pretty safe saying that heredity plays a role in some of his hip issues. When we went back to his hometown of Ames, Iowa, a few Thanksgivings ago, I was amazed at the number of people in the room that said they had a hip replaced or arthritis, etc. I am excited for the future that John and I now have. For so long it had been painful for him to walk so he couldn’t do all the things that other people his age were doing. I think one of our first stops, after he recovers, is going to be O’Malley’s Pub in Weston, Missouri. It is an Irish pub in a fantastic old stone building. The main bar is several stories underground and requires navigating some rickety stairs. There is always really great music and comradery there, but John has never been able enjoy that. We had gone there once but couldn’t navigate the stairs due to his lack of mobility. Us going back there is going to be symbolic for me. 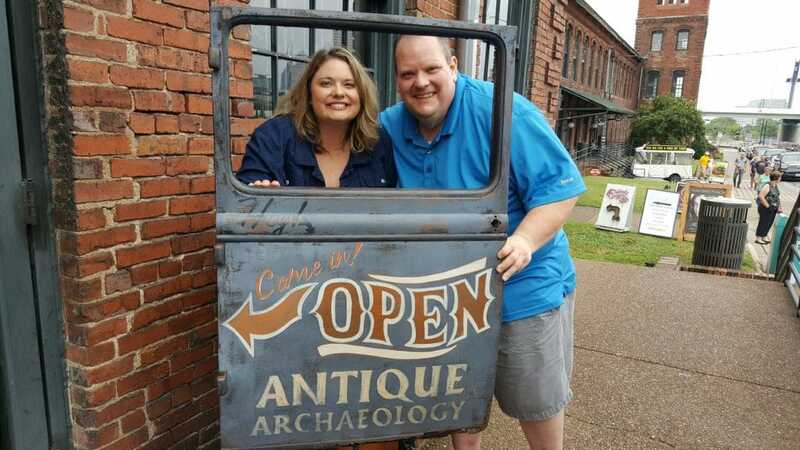 in Nashville, TN outside of the Antique Archeology store. Having him in my life has been a blessing after what I went through in my marriage and then the years that I was alone. So to be able to have an even better future with him now that the surgery is behind us is very exciting! Sometimes we can’t control the things that befall us, but we can make the best of them. 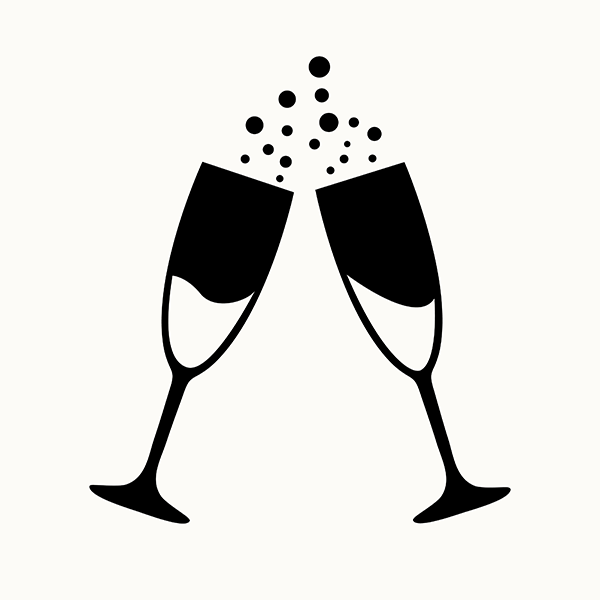 Stay updated on new blog posts. © 2018 Albright Creative, LLC. Web Design and Development by Albright Creative, LLC.